Originally a Windows 10 exclusive title, Dead Rising 4 is coming to Steam this March. 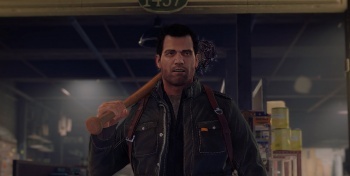 Dead Rising 4 launched in December last year for Xbox One and curiously, Windows 10. But for fans who haven't upgraded to Windows 10, or feel opposed to Microsoft's UWP apps, the game was out of reach. Now, Capcom has announced that Dead Rising 4 is coming to Steam, giving PC gamers more choice. The Steam port will come roughly four months after its December 2016 launch, hitting Steam on March 14, 2017. If you pre-order now you'll get it for 20% off, and the price will revert back to its full retail price after launch. Back when the Windows 10 version launched, Microsoft stated that the game "will remain a Windows 10 exclusive for the first 90 days," so opening up its release for other platforms is in line with that promise. Unlike the Windows 10 version, however, purchasing Dead Rising 4 will not grant you a free copy on Xbox One like "Play Anywhere" titles. If you're a PS4 gamer, you'll have to wait a little bit longer, as the "Xbox One console exclusivity deal" will last a full year, expiring this December.